Bijou Lovely: blogger's quilt festival: fall 2010. 8 blogger's quilt festival: fall 2010. Happy Friday everyone! Here I am, waiting until the last minute to post my entry for the Blogger's Quilt Festival. 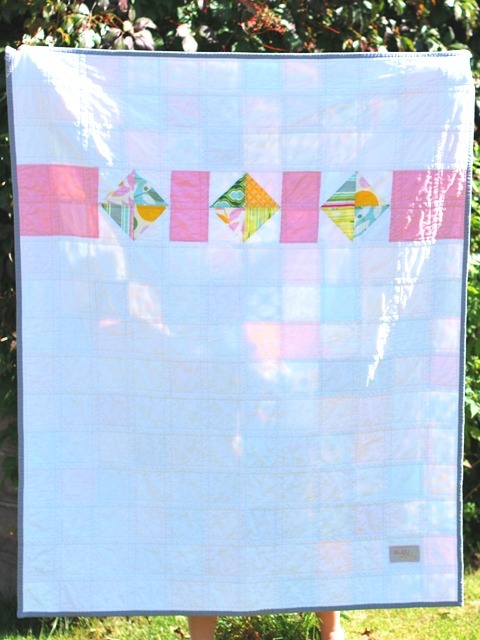 I have to go with my Nicey Jane patchwork quilt this time...simply because of all the lovely Nicey Jane. 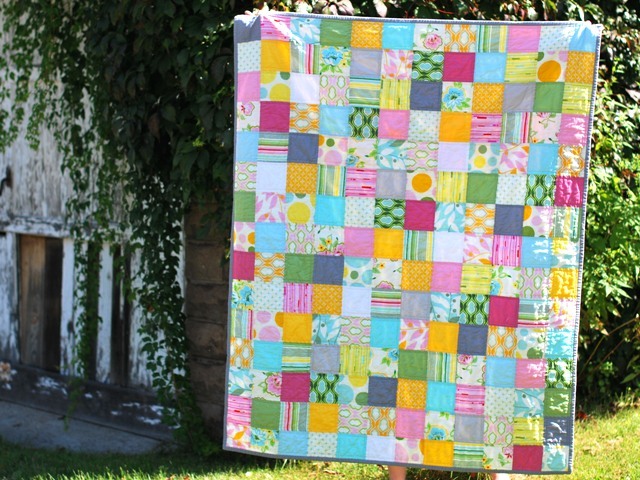 This was my first time making a patchwork quilt, and it was so fun to pick all of the coordinating Kona solids to add in. The colors in this quilt are my favorite part. The dark pink, yellow, and gray make it really come to life when mixed with all of those pastels. I had no real plans for the back and just improvised with a few HSTs and some leftover pink and white. I believe this will be the first of many patchwork quilts that I'll be making, I love how they really allow the fabrics and colors to become the main focus of the design. Don't forget to check out the rest of the quilts in the Blogger's Quilt Festival, there are so many beautiful quilts to look through! If you are visiting from Amy's blog, thank you for stopping by! I love it. It's so pretty. I love the piecing on the back too! So pretty! I love Nicey Jane! Welcome to Michigan - are you in the UP? I live on the west coast of Michigan in Holland!! What pretty colors. I love the way the finished quilt came out. I see many amazing quilts in your future. 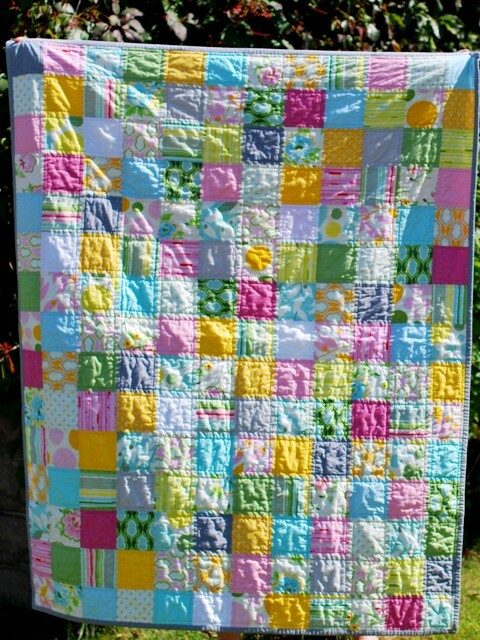 Lovely colours and gorgeous quilt!